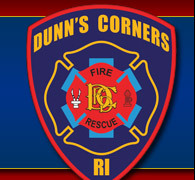 On Wednesday, August, 1, 2018, the Dunn's Corners Fire Department held their annual Honored Members' Night. Past members were treated to a steak dinner at the station. 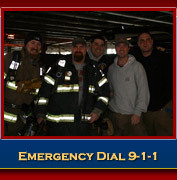 Stories were shared and heartfelt gratitude was offered to all who have served the community through the department. Chief DeGrave thanks Former Assistant Chief June Champlin for his service. Honored Members Night is all about recognizing the importance and contribution of past members. Former Assistant Chief June Champlin and Captain Dan Schilke - Lifelong Dunn's Corners Boys. Thank you to all past members and officers for your service. The dinner is an informal way to connect with past members and say thank you.